Eight Democratic state lawmakers in Connecticut have broken with their party to back a budget crafted by their colleagues across the aisle in what the state’s Senate Republican leader calls a “change of course” in Hartford. State Sen. Len Fasano (R) of North Haven says the fact that some Democrats have signed onto a budget proposal presented by Republicans and now passed by the legislature demonstrates a shift in the state Capitol, reports the Hartford Courant. The budget is the first one proposed by the GOP to win approval in more than a decade and comes as the state is about 11 weeks into the new fiscal year without an approved budget. The Republican leader referred to the fact that in November, Connecticut voters handed their legislature a party tie in the Senate (18-18) and only a narrow Democratic majority in the House (79-72). Gov. 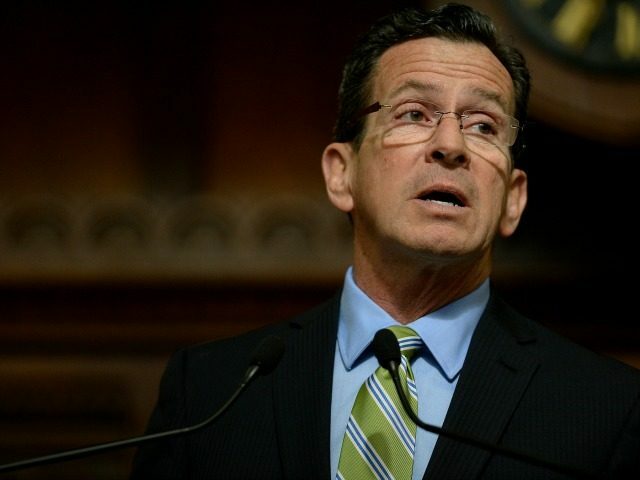 Dannel Malloy (D-WFP), however, has vowed to veto the budget, claiming it would raid state pension funds, devastate higher education, and leave the capital city of Hartford open to bankruptcy. According to the Courant, the changes at UConn would require all full-time professors to teach an additional course to produce $10.4 million in annual savings. In addition, UConn employees earning more than $100,000 would pay more for their fringe benefits, such as free tuition for their own children at UConn. Malloy – who in his years as governor has adopted many of the social justice policies in his state that were enacted nationally by former President Barack Obama – blames having inherited the failures of prior administrations to fund state pension funds as the reason state finances are expected to run $1.6 billion in deficit in 2017-2018. As the CT Mirror reports, Malloy – who served as a surrogate for Hillary Clinton in the 2016 election – has been running the state by executive order, making cuts to spending in the areas of municipal aid and on social services that are provided by private, nonprofit agencies. If a budget is not adopted by October, Malloy has threatened to reduce grants to school districts by 28 percent and redistribute funding from wealthy and middle-income towns to inner cities and lower-income towns. At the end of July, three Connecticut senate Democrats only begrudgingly joined with their party to give approval to a state-employee concessions deal that was celebrated by Malloy, who won two terms of office in large part due to his cozy relationship with the unions. The Pew Charitable Trusts notes that Connecticut is one of only four states where retirement and health benefits are still bargained, instead of set by statute. For example, as Eric Halpern also writes at Yankee Institute, the state – not the local school districts – administer public school teacher pensions in Connecticut. This centralization, under the Connecticut State Teachers’ Retirement System, means that taxpayers from across the state are accountable for any underfunding and shortfalls. As of 2016, the system was only 56% funded, with an outstanding gap of over $13 billion – an amount which has grown considerably in recent years and is likely to continue its upward trajectory if interest rates stay low. These ballooning costs threaten to crowd out other state spending priorities – including spending on present educational needs – as current taxpayers shoulder financial burdens for promises made long ago. The inherent problems with the state retirement system are only exacerbated by the fact that – due to its poor business climate and high taxation – Connecticut’s workforce and general population have significantly declined, leaving fewer taxpayers to fund higher pension costs. The concessions include a three-year wage freeze for most workers, several furlough days, a two percent hike in pension contributions for most workers, some increases in healthcare copays, and increases in contributions to the retirement healthcare benefit for current active workers. In return for these allowances, Malloy agreed to protect state employees against layoffs for four years and to a five-year extension of the agreement on pension and health benefits from 2022 to 2027. Beginning July 1, 2012 – following the three-year wage freeze – state employees would also receive two annual wage increases of 3.5 percent. Fasano warned that labor costs under the deal would tie the hands of the state for the next decade. “Once you vote for this deal you are trapped,” he said. This government union deal simply doesn’t do enough. Instead, it locks into place the worst features of Connecticut’s fiscal situation for another ten years. It will be up to the people of Connecticut — who have been cut out of the special deal the government unions get — to keep demanding the changes our state needs and that the politicians who voted for the status quo denied to all of us. 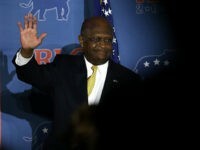 With hesitation, Democrat state Sens. Paul Doyle, Joan Hartley, and Gayle Slossberg voted for the deal with the expectation state Senate leadership would deliver on their promises to advocate for pension reforms. “I have to take a leap of faith with all of you in this chamber,” Doyle said, reports CT Mirror. The three Senate Democrats, however, stunned lawmakers when they ultimately voted in favor of the GOP budget, as did five state representatives: Patrick Boyd, Lonnie Reed, Danny Rovero, John Hampton, and Kim Rose. Though some Republican lawmakers are touting a “no tax increase” budget, the plan does increase taxes, Fasano admits. The proposal calls for spending $40.7 billion over two years.